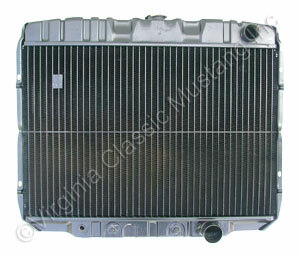 1968-69 Mustang Radiator. Bracket Mount style radiator that was originally installed on 289,302,351W with air conditioning. This is a 3 row 24 inch core radiator.